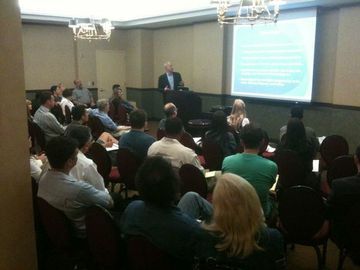 I am emailing to announce January's meeting, "YOUR GREAT IDEA!...ARE YOU SELLING OR TELLING? (A story that is.)" The speaker is Jeff Goldberg, an awarding-winning sales professional specialized in sales management, training, and consulting. He will be giving details on: how to sell your idea, develop an elevator pitch, presentation do's and don'ts, the importance of differentiation, and the TWO parts of any pitch! Registration deadline: January 13th (day of the meeting) at 11:30am. If you register for a guest, please include the first and last name of the guest(s) at the time of purchase. Also, admission includes viewing and participating as an audience member at the pitching panel held after the talk. Interested in pitching your invention (patented or patent-pending) to our expert panel who will offer great advice and feedback? 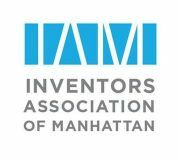 See more information and register here: http://www.meetup.com/manhattan-inventors/events/156720892//. Please let me know if you have any questions! and Happy New Year!